Just like plaid, fair isle prints always get me in the holiday spirit. Whether it’s a cute pair of socks, comfy pajama pants for cozying up by the fire, or a pom-pom beanie to wear on the slopes, it’s a print you’re going to want to wear the rest of winter! I for one really love the look of the fair isle sweater – this knit features a more subdued fair isle print than one normally sees, so you don’t have to worry about crossing the line into tacky Christmas sweater territory. While this particular sweater comes in a red variation and a black one, I chose this one for its soft, neutral color scheme. It’ll still be a great piece post-Christmas and it is easy to style day to night. While the red is fun and festive, it definitely looks more like a daytime piece. 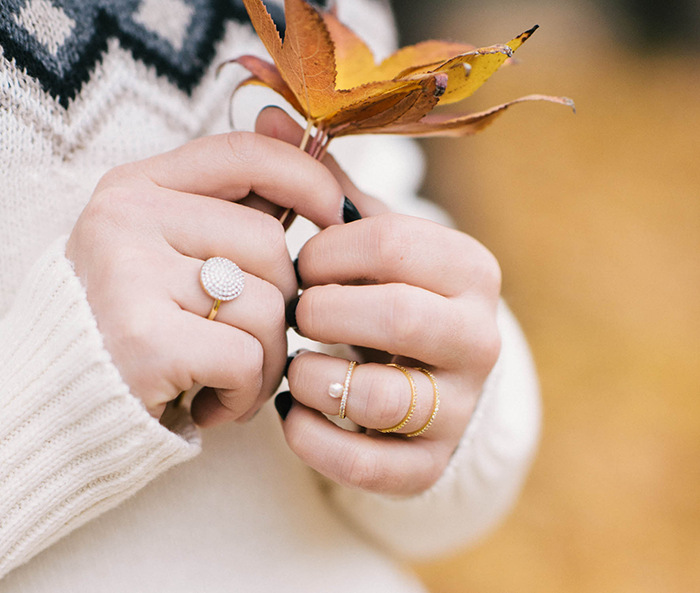 The black sweater is a great neutral option too if you don’t love winter white like I do! 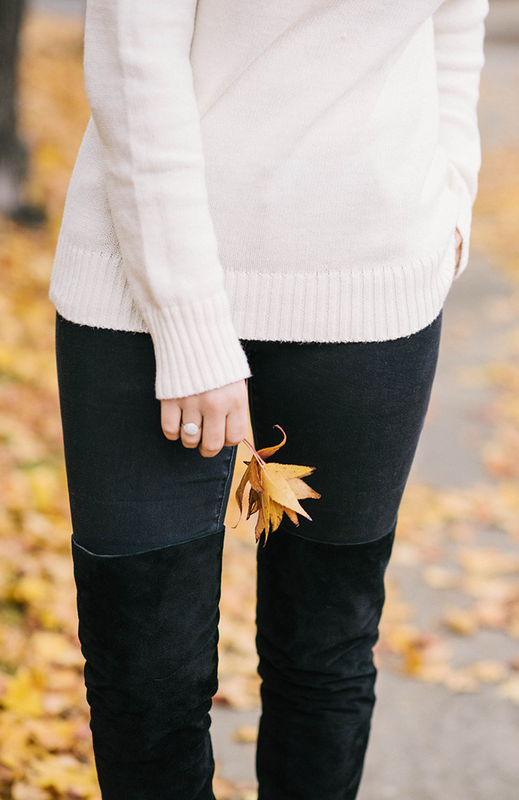 Here I’ve styled the sweater for a daytime look with my favorite Old Navy skinny jeans, heeled boots, a hat and a neutral tote. I’m still debating, but this may be my outfit for Christmas day! The other look is a great option for work or a holiday party – just pair with pumps and a skirt and you’re good to go. Which look is your favorite? How would you style this knit? Stunning! I love the combination with the skirt! You have such lovely legs! Love the skirt in the second look, stunning! I just love how you dressed this gorgeous sweater up and down! The skirt is so unexpected and cute! Great sweater! Old Navy has really had some awesome stuff lately. I love the casual look with your OTK boots. Obsessed with the 4th image! You look amazing! Loving your boots and jewels! And it’s always great to see versatility in a piece! 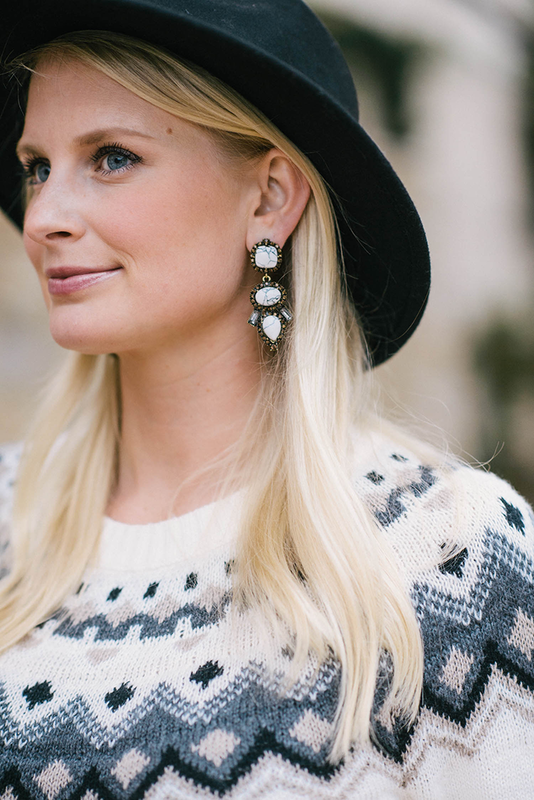 What a gorgeous fair isle sweater… love it! Both looks are perfection! Love love love. Especially loving look #2. I love how you paired this sweater with a simple skirt and patent heels! your heels in the second look are fabulous! absolutely love that sweater on you! I like both looks! And who would have thought the sweater was from Old Navy, amazing! Love your boots too! I love how you styled this! Such a great seasonal sweater. I love this sweater! Looks great with the skirt! Love the sweater! Fair isle is so festive! Adorable sweater! 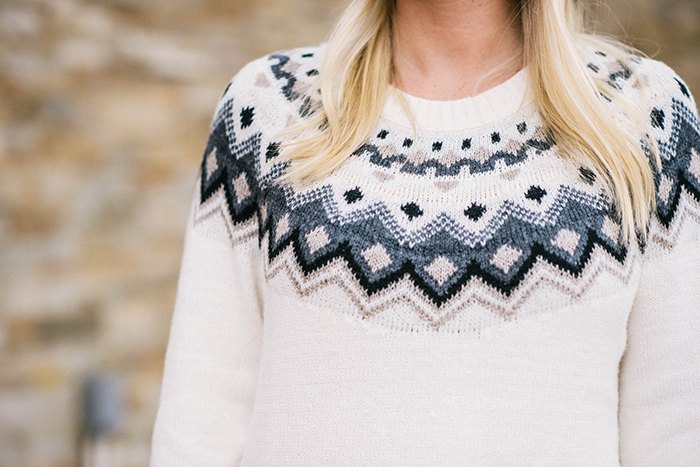 I love fair isle! Love your fair Isle sweater!!! Those boots are awesome! I love how the are wedges too. Such a classy way to do a thigh high boot! Have a nice Advent time and a very happy Christmas!! I’ve seriously been obsessed with Old Navy lately. Everything they have been putting out is incredible! I also LOVE your earrings!